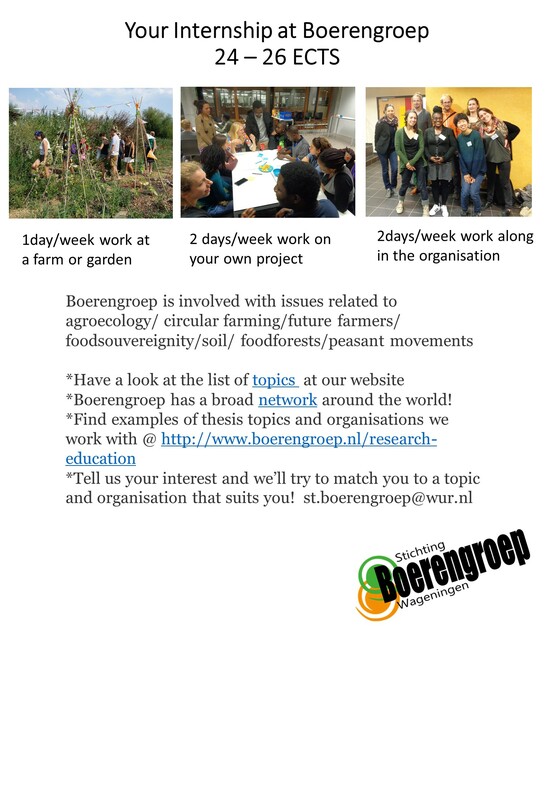 Internship Opportunity Boerengroep (closed): organize the FEI summer course on Agroecology! Are you looking for a challenging internship, where you will learn everything about agroecology as science, practice, and movement? Consuct your internship at Boerengroep as coordinator of the Farm Experience Internship (FEI)! 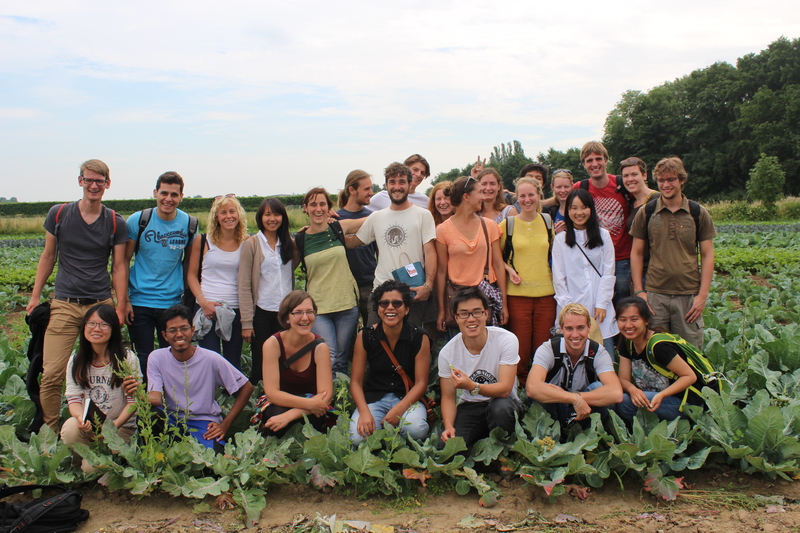 As coordinator of the summer course ‘Farm Experience Internship’ (FEI), you will organize this unique summer course at the Wageningen University, together with the Boerengroep team and RSO chairgroup! 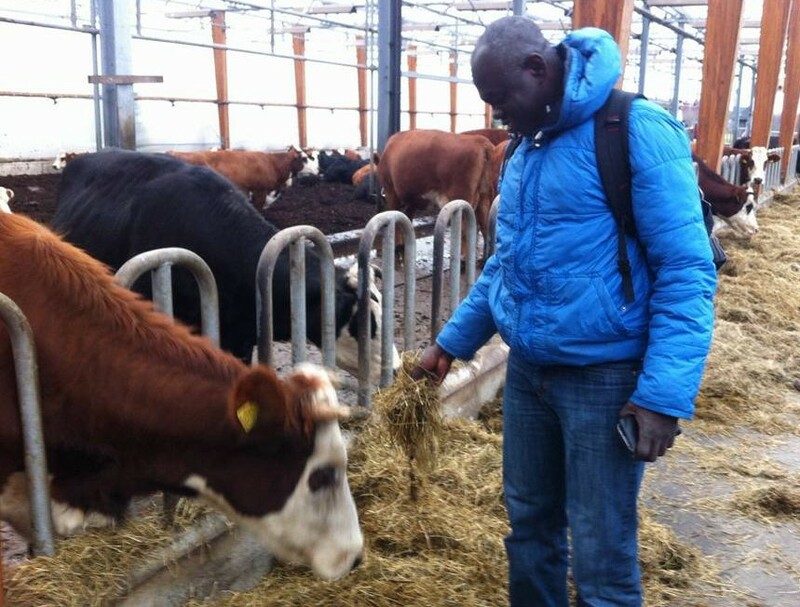 You will develop your skills as project coordinator, broaden your network and gain knowledge about agroecology as you will be involved in a wide range of activities: design the program for the course, invite speakers (researchers, farmers, peasant movements etc. ), coordinate the subscriptions and promotions, arrange funding, update the website, keep contact with the students and the participating farmers/gardeners and set up the evaluation. Note that this internship will take 5 months: 1st of April – end August 2019. The first phase of the internship (April, May, June) will be part time, so it is easy to combine it with courses, or writing a thesis proposal. The second part (July – August) will be full time. You will also join the complete FEI summer course, and so it is possible to get the extra 3 ECTS for the course, by the RSO chairgroup! There is the possibility to combine your internship with a research/other event of interest, e.g. 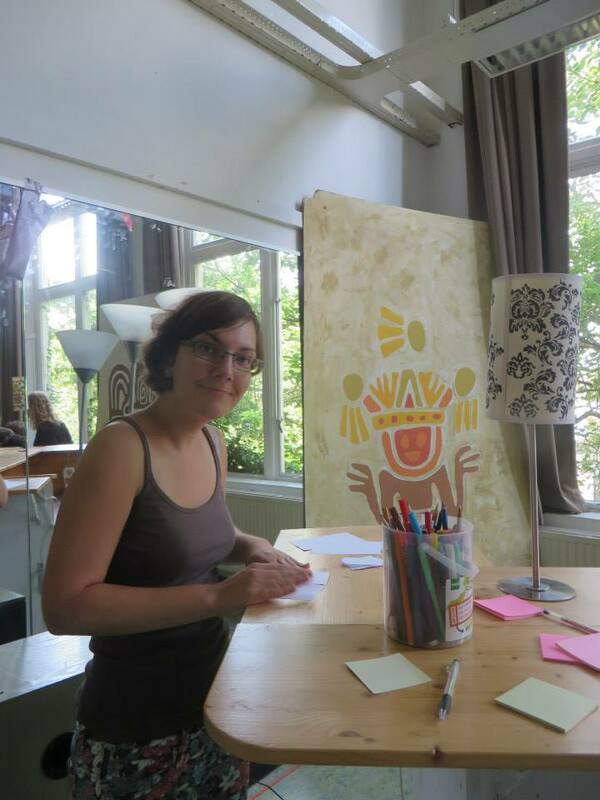 conducting interviews for Toekomstboeren, working on La Via Campesina Agroecology Training and Learning Network (FEI is part of this), or setting up a series of lectures/debates on the topic of your interest, together with Boerengroep. organize a symposium on a topic you find important. 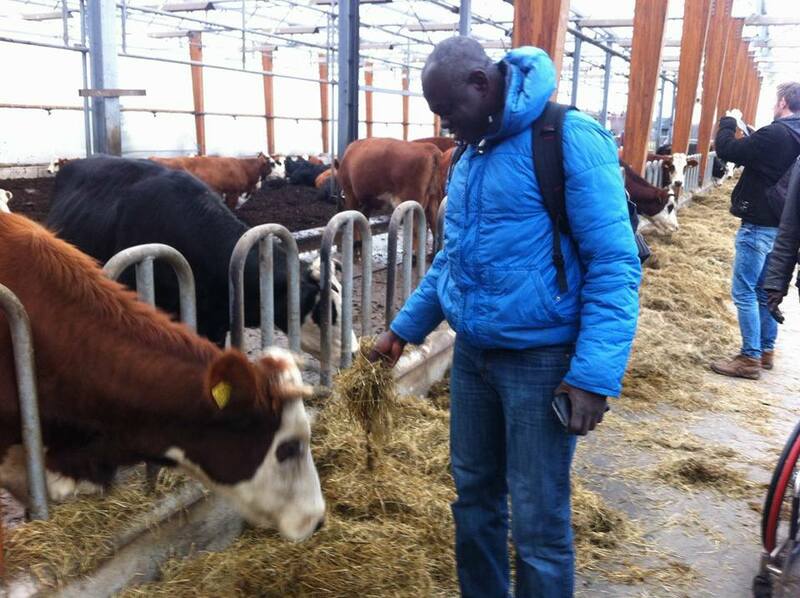 At the Boerengroep you will work in a dynamic team on agriculture-related topics. You can join in on the organization of events, or come up with your own ideas and organize your own event/project/symposium with our support! During your internship you will develop both academic knowledge and practical skills. You will gain organizational skills and experience in event management, including planning, contacting networks, cooperating with other organizations/farmers/peasants/researchers, realizing promotion, facilitating and evaluating the events etc. In general, the internship will lead to improvement of the ability of team work as well as assuming individual responsibility for the designated tasks, internal and external communication competences, research skills and writing proficiency. Moreover, during your internship at Boerengroep, you have the opportunity to closely work together with other organizations as well. Here you can find some examples of organizations you can work with. Here you can find topics we work on. Send us a mail: st.boerengroep@wur.nl and we’ll meet up to further discuss your wishes and topics of interest for your internship. 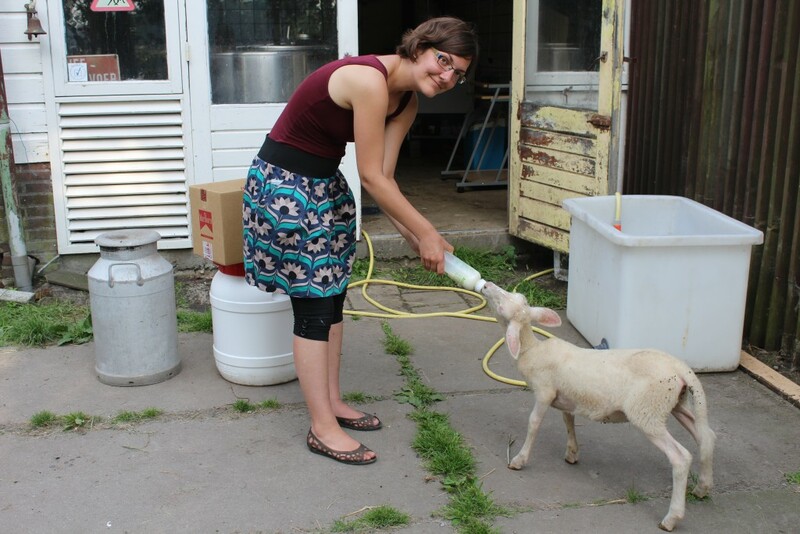 In this document you can find some practical info about conducting an internship at the Boerengroep (how to start, which forms to hand in etc.). Here you can find more info related to scholarships and grants from the Dutch government and European Comission (if you want to apply for this). 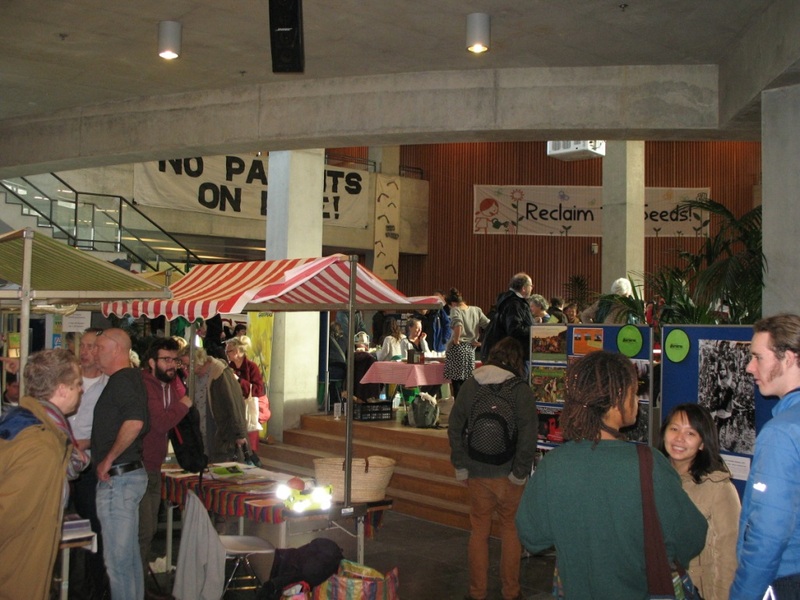 Konstantinos during Reclaim the Seeds market, WUR, 2016.